I've had a few people ask me about recording live presentations recently, so now's a good time to talk about how I do it. By watching myself, I can learn my quirks that I don't notice. 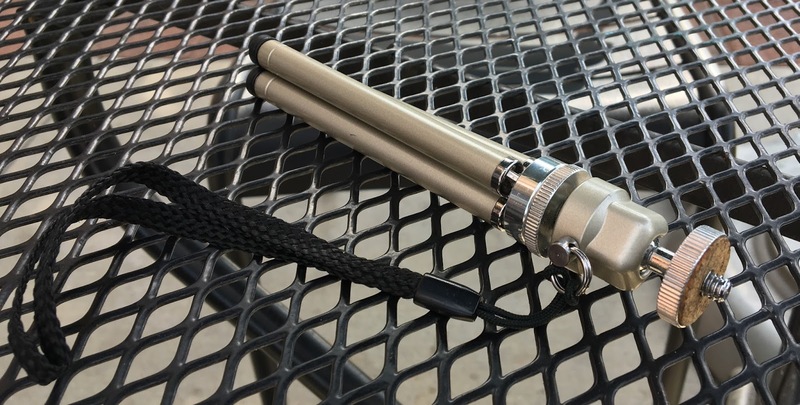 This helps me improve my speaking technique. I can post recordings that come out well to my YouTube channel. So here's what I've done. It's not professional quality, but it gets the job done for what I was looking for. One of the most important things about recording live presentations is making sure that you have good audio. If there is echo-y sound that's hard to understand, no one will watch the video. I've passed up watching videos of people I really wanted to hear just because the audio was so distracting. This problem actually kept me from recording my presentations for quite a while. For a previous discussion on the importance of audio quality, check out my article on screencasting: Jeremy's Screencast Production. This is an inexpensive microphone, but the quality is surprisingly good. 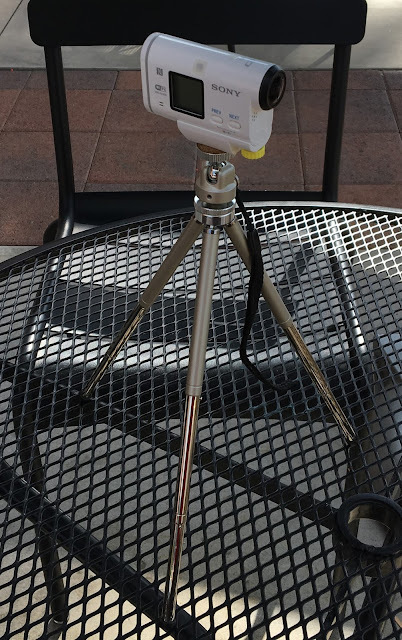 I can clip the microphone to my collar and stick the Zoom recorder in my pocket. Note: If you take this approach, make sure the microphone is plugged in all the way to the recorder. I have a couple presentations that are nothing but a recording of the inside of my pocket. I am happy with the results of the Zoom recorder. It runs on AA batteries and records to a micro-SD card. 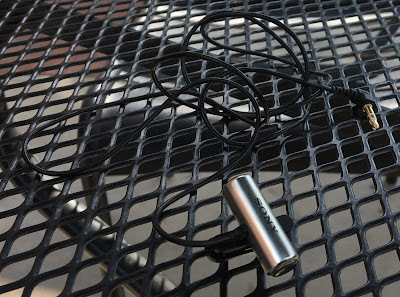 Battery life is very good, and 2-1/2 hours of audio takes about 1-1/2 gigs of space (which isn't much when you can buy 64 gig cards really cheaply). I use the "Auto Level" feature of the Zoom recorder (you can see the switches on the back). This has a few quirks, but it's easy to fix in editing (more on that below). You'll also notice that there is a "Hold" switch. This will save you from accidental button presses, particularly if you put the recorder in your pocket. A general piece of speaker advice is to always repeat the question so that other members of the audience can hear it. This is especially important when recording because you will not pick up the audience at all on the lapel microphone. So you want to repeat the question for the recording as well. 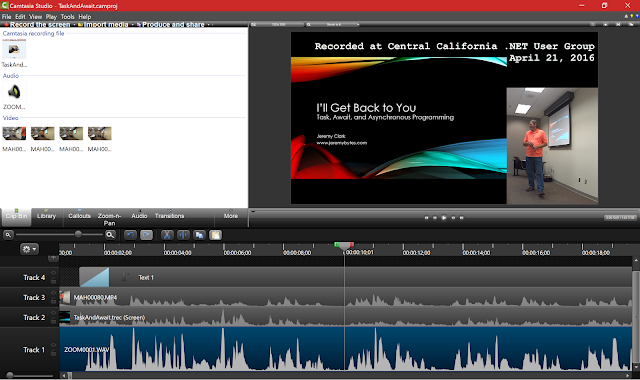 I use Camtasia Recorder (from TechSmith) for screen capture. I've spent a bit of time talking about Camtasia in my screencasting article, so I won't repeat it here. I'll have a bit more to say about it when we get to editing. One thing to be aware of is that the Camtasia Recorder will capture some keystrokes for its own use. So be prepared to re-map some keys in Camtasia or be ready to use alternate methods in your demo. 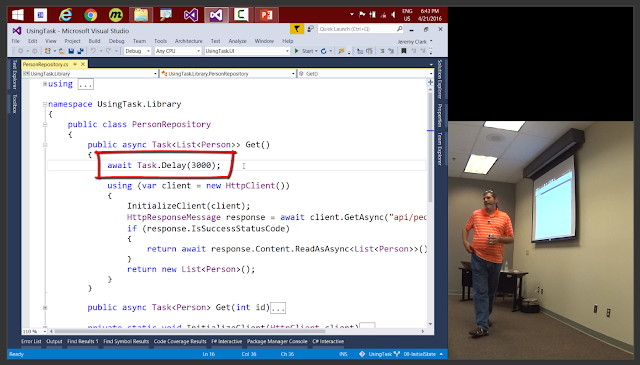 The most prominent one that I run into is that F10 is "pause" for Camtasia, so in Visual Studio, I'll use the toolbar buttons for debugging instead of F10 to step through code. 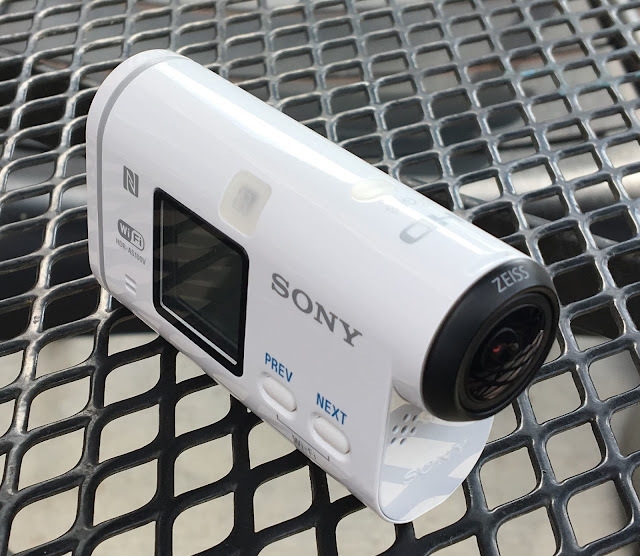 This is the Sony version of a GoPro. It's really designed as an action camera, so the lens is a bit fish-eyed. I got this a while back, so I'm sure there's an improved version of this now. The recording quality is good: 1080p. And if you crop the video (like is shown in the first video in this article), then you don't see the fish-eye. Note: the second video in the article was actually recorded first, and I learned some things about editing that I was able to use in the other video. But more on editing later. I usually put the camera on a table in the front row (which gives a bit of a side-angle). I've put it in the back of the room a few times, and the image was a bit small. When it's closer, it's easier to see my movement and mannerisms. 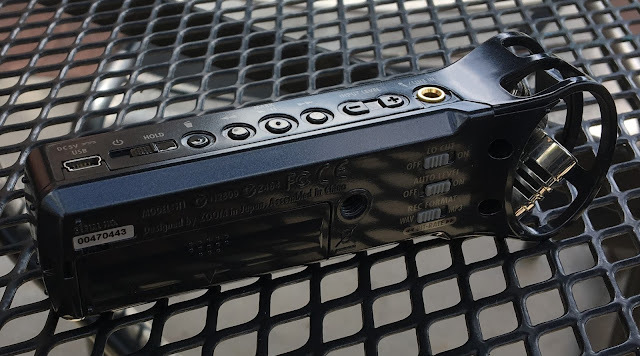 There are a couple things about this camera to watch out for. First, it can only be charged by the USB port (there's a removable battery, but you would have to buy a separate charger for that). It cannot be plugged in and record at the same time, so you're limited by battery life. In my experience, battery will go about 1 hour 45 minutes. This can usually accommodate one of my presentations at a user group, but I make sure to start it just before I start, and I'll even pause it at breaks to save a bit of battery. This also uses micro-SD for storage. And it runs about 4 gigs for 35 minutes of video. I use those weird increments because it actually splits up video files into 35 minute chunks. Again, with a 64 gig card, I've never had any problems with space. The limiting factor has always been battery life. Record audio in all three places: digital recorder, screen capture, and video camera. Even though the final audio will be from the digital recorder, it's easy to use the sound waves to line up the various tracks when editing the video. After starting all 3 recorders, clap your hands. The ".mp4" files come from the video camera. As mentioned, this records in 35 minute chunks, so these need to be put together in editing. 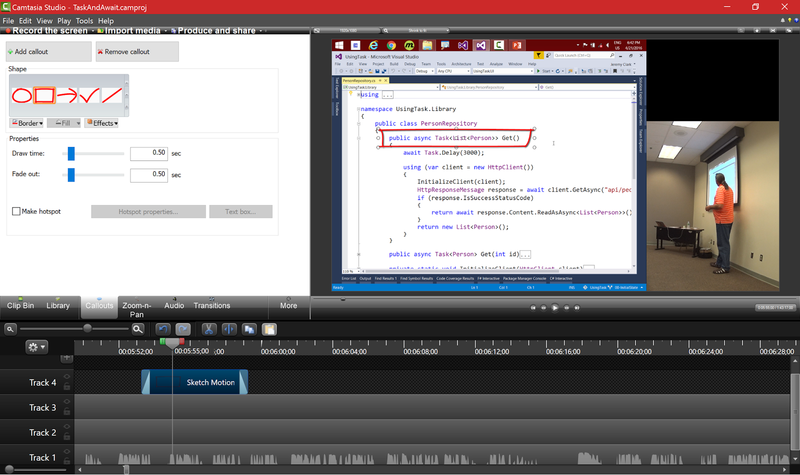 The ".trec" file is the screen capture from Camtasia. And the ".wav" file comes from the Zoom audio recorder. The ".camproj" file is the Camtasia project. We're headed there next. Now that we've got all of the sources, we need to put everything together in Camtasia Studio. First job is laying down the tracks and lining them up. This is where the audio helps A LOT. The order of the tracks are important, the track that is "on top" (in this case, Track 4) appears over any other tracks. Track 1: Audio track (not visible). 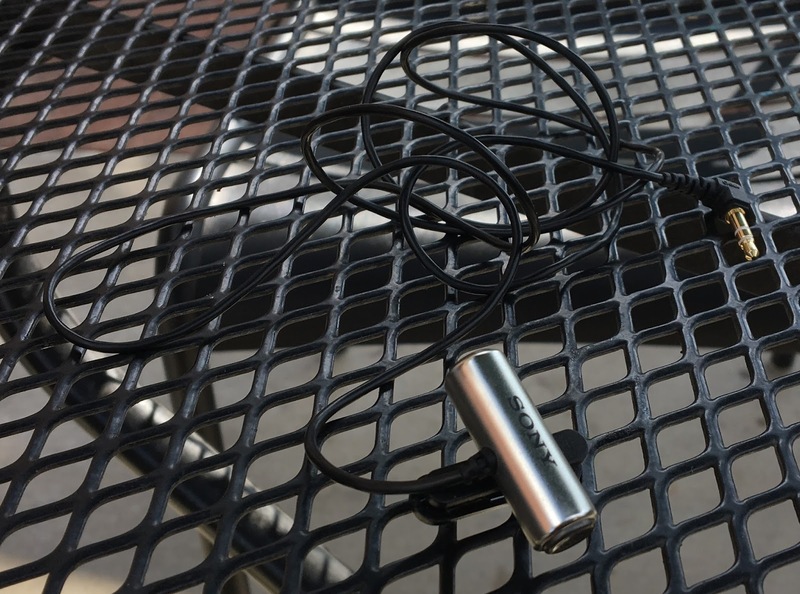 This comes from the Zoom digital recorder and it will be the audio that we ultimately use. Track 2: Screen capture (left side of screen). This comes from the Camtasia Recorder. Track 3: Video capture (right side of screen). This is from the Sony video camera. Track 4: Overlays (text at top of screen). We'll take a closer look at this a bit later. We can use the audio tracks to line everything up. Notice that the peaks line up across the media. And as noted earlier, a "clap" at the start can create a spike to make it easy to see where the start point is. In this case, I've already trimmed down the video and audio, so we can't see that part. Once everything is lined up, you can trim the excess at the beginning and end of the tracks. You'll see different intensities when looking at the audio, this is because the computer is one side of the room, the camera is on the opposite side, and I'm walking around with the voice recorder in the middle. After getting all of the tracks lined up, we can use the Audio tab in Camtasia to simply mute the 2 video tracks. This will leave the audio just from the Zoom recorder. 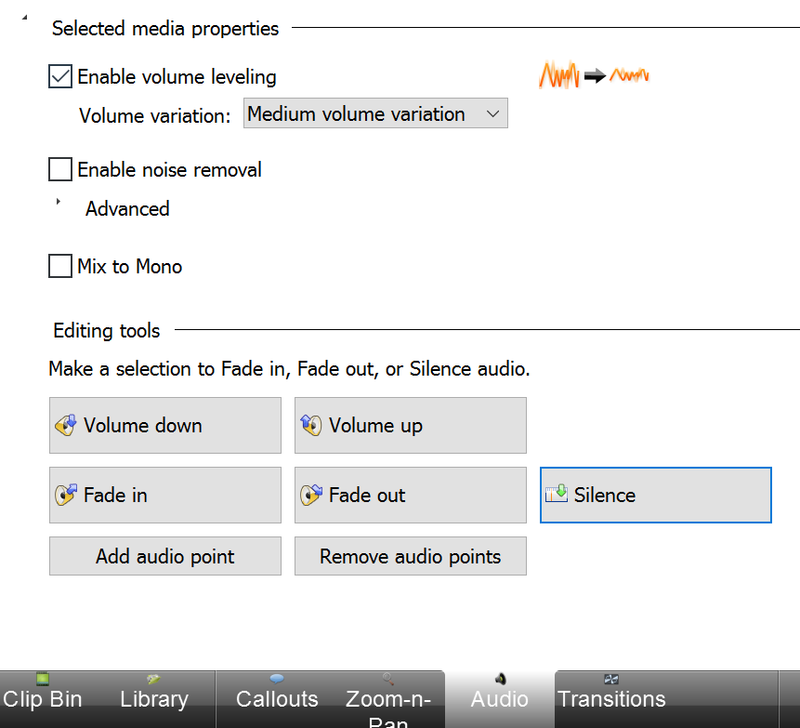 When I'm doing screencasting, I don't normally use the audio leveling tool (as mentioned previously). This is because screencast recording is in a much more controlled environment where I'm sitting still. Things are a bit different when I'm doing things live and don't get a "second take". This is a bit different from the audio track we saw above. I do this to smooth out some of the "Auto Level" from the Zoom recorder (remember I mentioned that above?). The auto-leveling of the Zoom recorder generally works well, but if you cough, tap the microphone, or cause some other "spike", the recorder will lower the sound levels, and it takes a few seconds to re-adjust. The "Auto Level" in Camtasia will correct this. It's not ideal. But I also don't have a professional audio technician doing these recordings for me. The audio still comes out a lot better than many of the "live recordings" that I come across. This projector was had a 4x3 aspect ratio, so my screen capture had that same ratio. This made it really easy to put the screen and video side-by-side (although it does look a little strange in the beginning when I'm showing my wide-screen slides). In contrast, in the March 2015 video, I put in a lot of edits to show the live video when that was important and to show the screen when that was important. This was *a lot* of work. It is much easier to do side-by-side or an overlay if you can get away with it. Since the videos were side-by-side, the order of the tracks wasn't as important (since they don't overlap). But if you're overlaying or doing other interesting things, you want to make sure that the right video is "on top". As mentioned above, the Sony video camera records in 35 minute chunks, and these end up as separate files. The good news is that if you put the two media files right next to each other in Camtasia (on the same track and touching each other), there is no gap or stutter at all. This is entirely non-obvious, and I haven't found the "crop" feature on another screen or menu (maybe I'm missing it). So you can see that I cropped out quite a bit of the frame. Cropping also can make the "fish-eye" of the camera a bit less obvious. This is why having the 1080p recording is nice. Even if you don't show the video full screen, you can crop and zoom into different areas and still have decent quality output. The last step in the editing process is to add callouts to the video. I've talking about adding callouts in screencasts, but it's also important when showing live presentations. You'll notice in the video that I'm pointing at the screen. This is pretty common for me (especially when I'm talking in a training room). But it's impossible to tell what I'm pointing at. This is where the "Callouts" feature in Camtasia comes in handy. I can highlight the area on the screen that I'm talking about. In this case, I'm pointing to a method signature and using a red rectangle to highlight it. This is on the "top track" (Track 4 here) so that it shows up over everything else. I've added similar callouts throughout the presentation. After getting all the bits together, it's time to render and upload. I try to render at the highest resolution I can (which is generally 1080p). Then when I upload to YouTube, they'll process it down to lower-quality versions. Rendering projects with live video take significantly longer than rendering screencasts. So be prepared for that. This is compounded because my screencasts are generally in 20 minute chunks and will render in about 20 minutes. But a live presentation is over an hour long, so it's both more material and also a slower render. Make sure that your computer is well ventilated during this process. This is a lot of work. But it's not that hard to do. The equipment cost me around $500 (which isn't cheap), but I've gotten quite a bit of use out of it. The Zoom recorder in particular has been a great little tool. I'm surprised at the quality that I can get from this little plastic device. This is the recorder that I also used to record bits of my banjo playing. I have recorded about 20 of my presentations. And I've gone through the process of laying down the tracks, lining up the audio, and rendering each of them. Most of them have just been for my personal use (so you don't see all of the work behind those). But a couple have made it out into the wild, and when I come across a good presentation, I'll be sure to post it. If you decide to start recording and producing your own presentations, I hope that my experience will make the path a bit easier for you. Last week, I had the great opportunity to give the Thursday evening keynote at AIM hdc in Omaha NE. 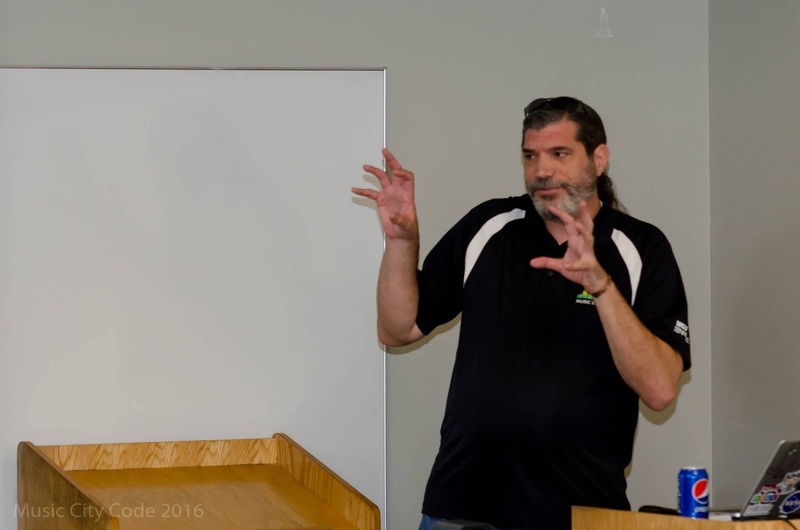 I was honored to be invited to talk, and I had a great time. 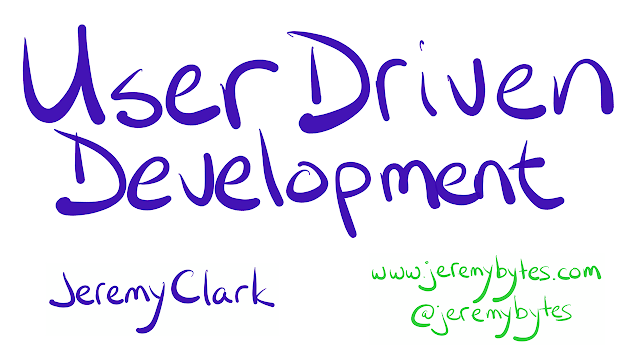 The topic was "User Driven Development", but I probably should have called it "Making the World a Better Place". Since this talk was me telling stories (with no code, gasp), I figured that I would take the same approach as I did previously with "Becoming a Social Developer" at NDC Oslo. The talk itself is based on a number of stories from my past which have made it into several articles over the years. You can check out the articles (and also the presentation slides) here: User Driven Development. I ended up with a total of 109 slides. 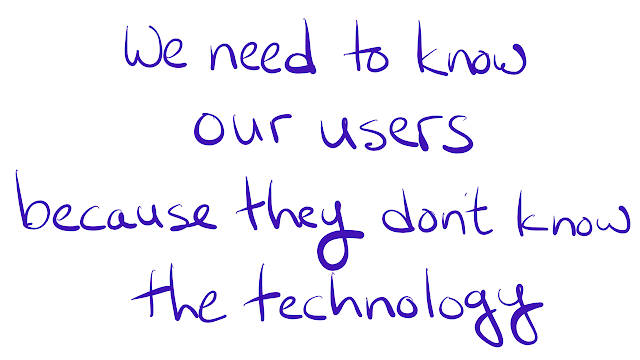 This sounds like a whole lot of slides for a 50 minute talk, but they tend to go by pretty quickly. The room held 650 people, so I figure that I had close to 500 in the audience. This related to a story about an application that would give the current time in whatever city you selected. 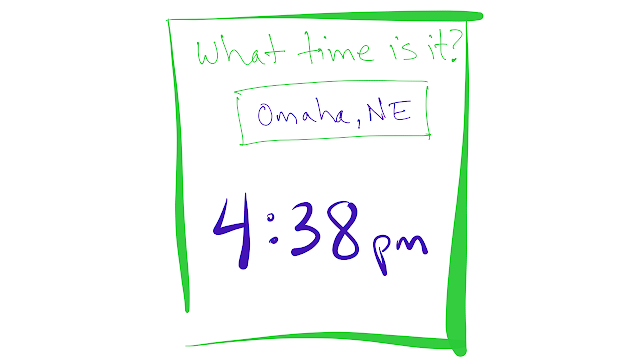 I was *really* hoping that this would be the actual time in Omaha, but I looked at the time just before I got to this slide and found that it was 4:39 p.m. (Missed it by "that much".) But it gave me a chance to crack a joke about how close I was. 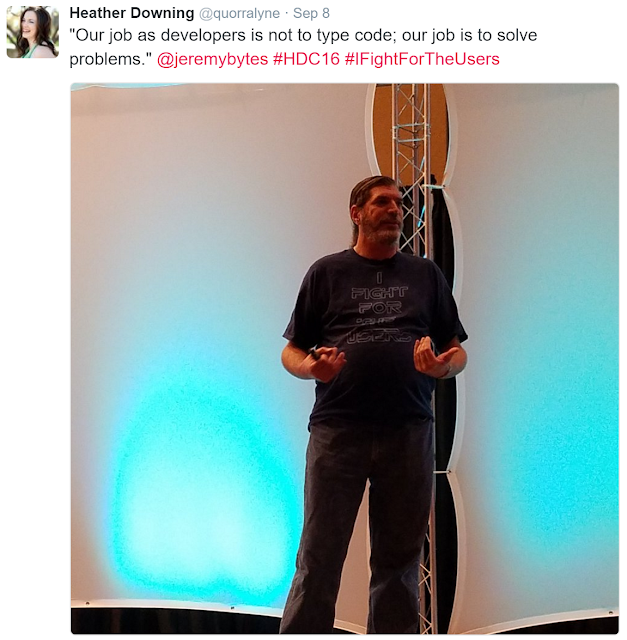 Our job as developers is not to type code. Our job is to solve problems. I am not "just" a corporate developer. I am a corporate developer. 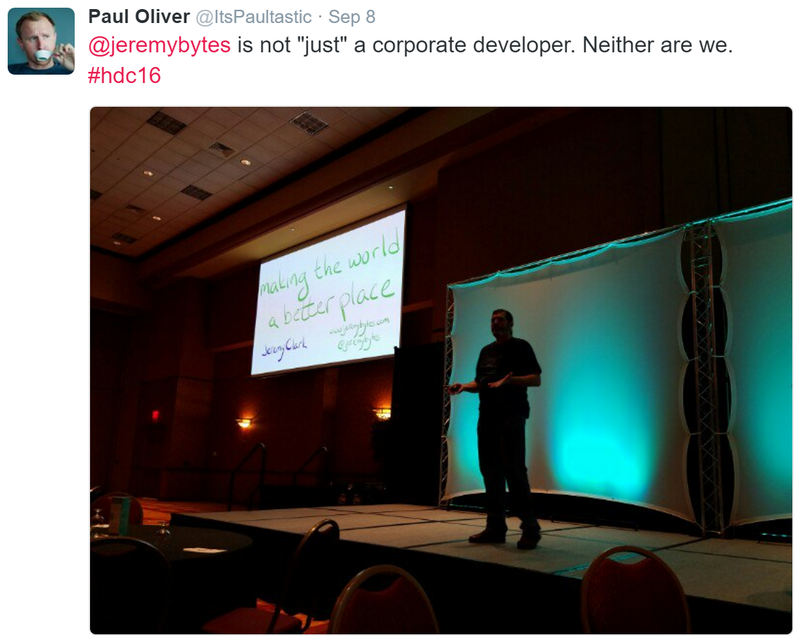 I've hated it when I have been referred to as "just" a corporate developer. This belittles the awesome work that we do. 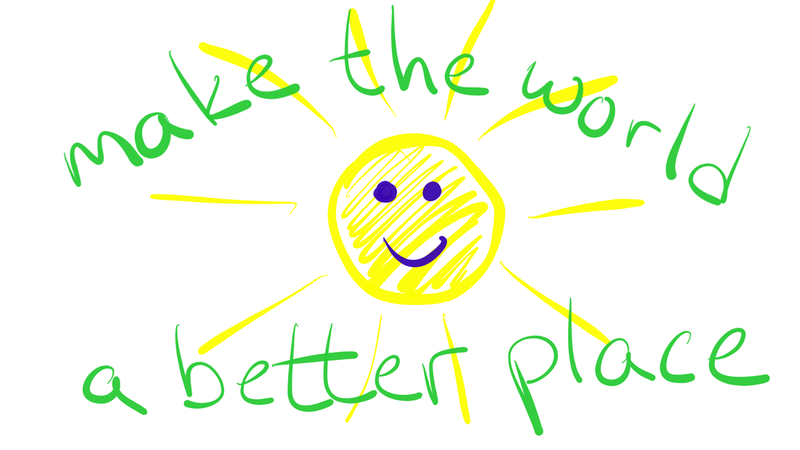 *All* developers can make the world a better place. Making someone else's job easier doesn't seem like it's world-changing, but it makes things better for that user. And that makes a difference. In addition, I had several people talk to me about the presentation that evening and the next day. And I even received some email after the event was over. I don't know if I impacted everyone in the room (probably not), but I did make an impact on some people. And that means that I did succeed in making the world a better place. The past few days have been pretty rough for me. I managed to get focused on the wrong things, and that had a pretty bad effect on me. I felt useless. I *know* I'm not useless, but that's different from feeling useless. We are all in different places on our journey. And when we look at other people, sometimes we're on the same path, sometimes we're on different paths, and sometimes our paths cross. Where I got into trouble was focusing on people who are ahead of me (and on some people who are on different paths). Specifically for me, this might mean a person who was selected to speak at a conference I was rejected from. It may mean a person who is teaching topics that are deeper and more interesting than what I teach. It may mean a person who is more productive at producing video content. There will always be someone better than you at anything you can come up with. We want to look to those people because we can learn from them. But it's very easy to get focused on not being as good as someone else. When we get into that mindset, it can make us feel useless. I find that I'm at my best when I'm helping someone else be better. In my world, that often means taking a previously obscure topic and making it clear and approachable. And I can do this for everyone who is behind me on the path. I've had trouble learning certain topics. I've made mistakes and had failures. I've had some great successes. "Hey, watch out for that pothole." "Take this detour; it's a bit longer, but you'll get there faster and easier." "Slow down a bit here; there's a speed bump." When I do this, I know that I'm not useless. One thing that I do to keep myself on track is to review the ways that I've been helpful to people. That means digging through feedback from my presentations and comments on my videos & website. Thank you so much; DI has been one of my weaknesses for years, but you've finally made it clear. It makes sense AND looks elegant to boot. 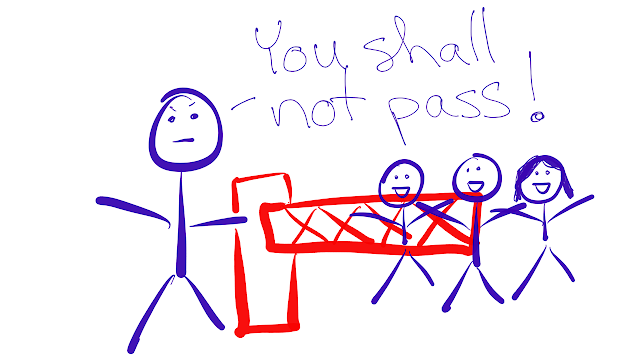 Your presentation was clear, concise, and a simple explanation of confusing (at least to me) topic. Thank again! Then I know that I've helped someone along the path. And now I don't only know I'm not useless, I feel like I'm not useless. Sometimes you get feedback that is not positive and not helpful. It can hurt when this happens. We like to please everyone. But it's also impossible to please everyone. So don't focus too much on the negatives. Instead, look for places to improve. But I've also found that it doesn't matter how far along the path you are, you can still be helpful. As a recent example, I did a dive into learning F# by going through some of the Euler problems. I am not very far along the path of using F#. And I was using the Euler problems to better understand things myself. I wasn't sure if the articles that I wrote were useful to other people. 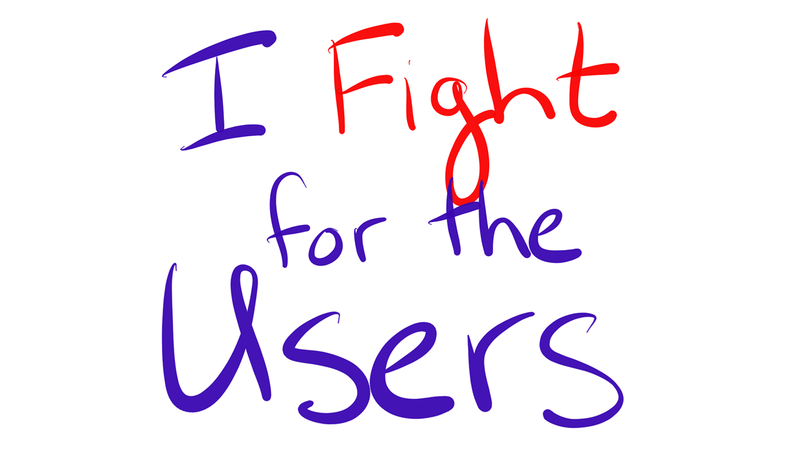 Most of the feedback that I got was from the people ahead of me who sent in some good advice to help me move forward. 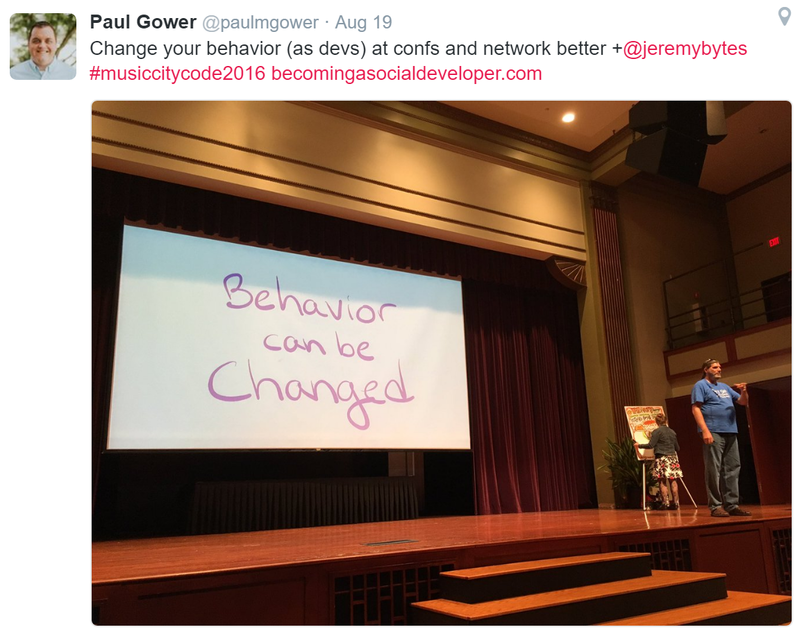 But when I was at Music City Code a few weeks back, I talked to 2 people who told me that they were following those articles and that it was helpful to them. 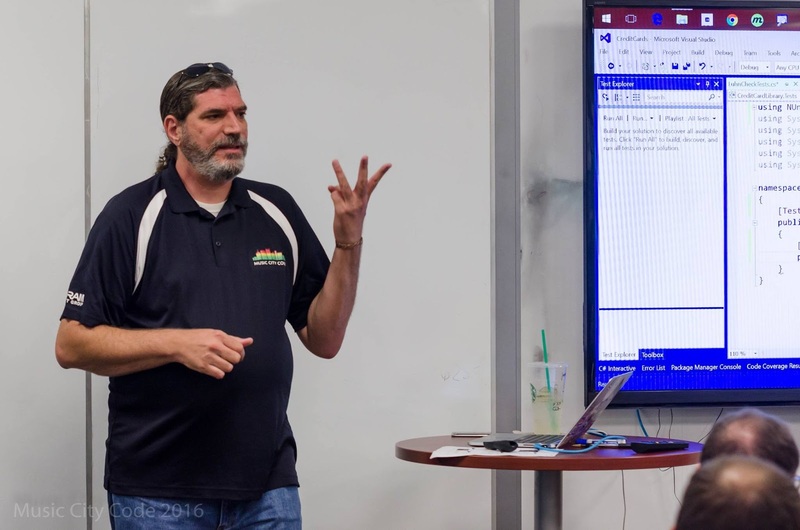 That was encouraging for me considering that I knew there was a lot of information on F# out there, a lot of information on Euler problems, and all of it from people who were way more experienced than I was. I encourage other people to try speaking at least once. A lot of people think that they don't have anything that's worth sharing (I know that I spent a good chunk of time thinking that). But it turns out that if you know 10% more than someone else, you are the expert in the room. It doesn't matter that there are people who know way more than you do. If you know just a little bit more than the people you're talking to, you can be helpful. I usually tell people to think of that one moment in their career where they said, "I wish someone had told me about this earlier." This usually comes after struggling through a tough problem, or learning about something in the standard library you didn't know was there. If you've had that experience, then other people have had it too. You have something to share to help people avoid that same problem. You don't have to be an expert. You know more than someone else; you can help that person. So after spending a few days focusing on how far behind I am, I'm going to start focusing on how far ahead I am. I've never considered myself an expert in anything; that's because I know that there are lots of people who know lots more than I do. But there are a lot of people who are behind me on the path. And I can help them. Reach out and help someone behind you. 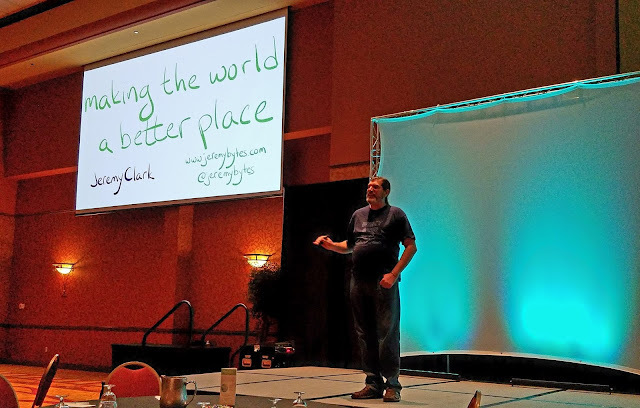 I've got several speaking events scheduled in September (and a whole bunch in October). I'm back on the road next week. As always, if you'd like me to come to speak for your company or at your event, just drop me a note. 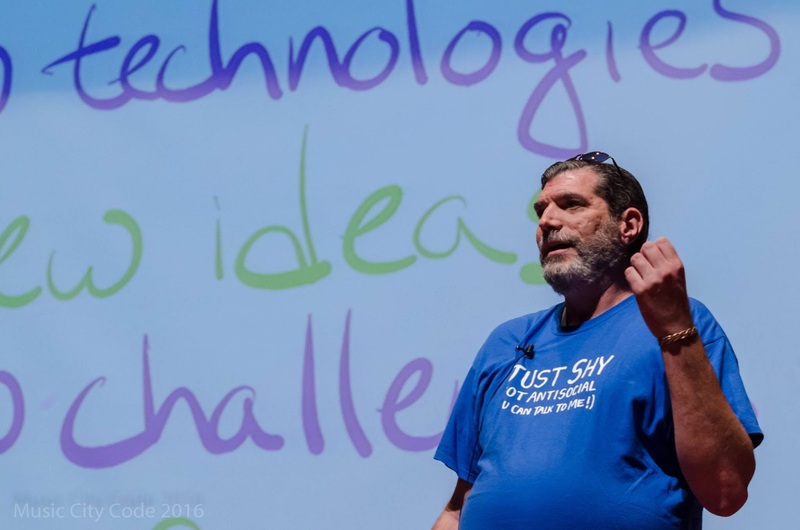 I've got quite a few Presentations and Workshops available. I'm looking forward to heading to Nebraska next week. It's my first time in the Omaha area. And I've also been given the opportunity to give the closing session on Thursday night. 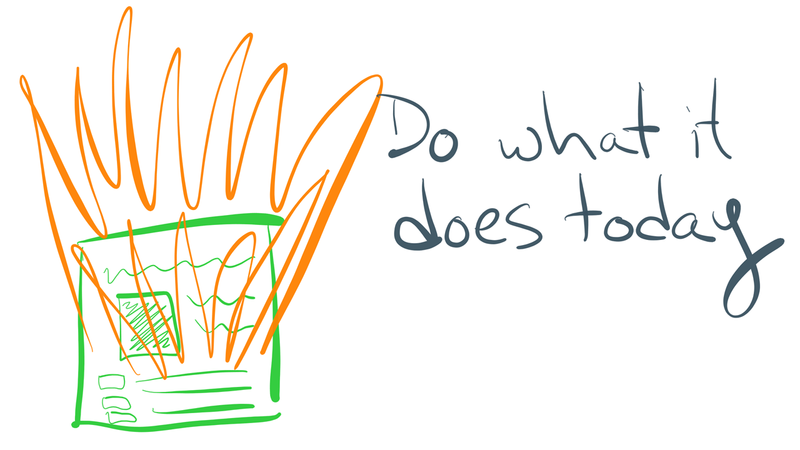 I've got the slides together (after some more crappy drawing), and the talk should be a lot of fun. 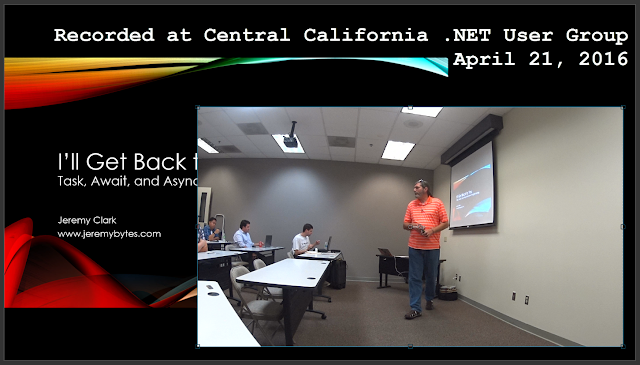 I've been out to SouthBay.NET several times, and it's always a fun group. It's also great to see my friend Theo Jungeblut (@theojungeblut) who heads things up. This is a full-day workshop on two of my favorite topics. But at a larger scale, it's really about how we use abstraction to make our code easier to extend, maintain, and test. There's still some spots open for those who want to join me. I know this event is not in September, but it's happening while I'm up in the Bay Area, so it fits in well right here. The Silicon Valley Code Camp is one of the largest community events on the west coast. It was fun getting the chance to be on video last year. I'm looking forward to heading back again this year. October is looking to be a lot of fun with a lot of travelling. The first weekend, I'll be at Silicon Valley Code Camp in San Jose, CA (as already mentioned). The following week, I'm headed to the Desert Code Camp in Chandler, AZ. A bit later in the month, I'm going to St. Louis, MO for DevUp and then to Des Moines, IA for Prairie.Code(). So, lots to do, lots of traveling, and lots of days away from home. But places I really want to be. 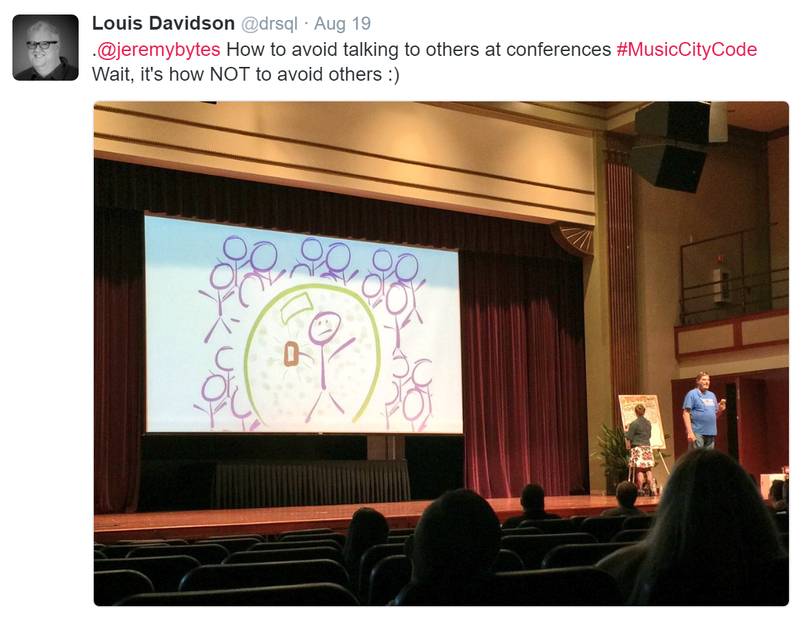 August was a bit of a light month: only one event -- but it was an amazing event: Music City Code. I've already written a bit about how I got to talk to a ton of great people. And I also had a lot of fun giving my talks. In addition to my regular sessions, David Neal (@reverentgeek) was nice enough to share his evening keynote with me. This gave me a chance to share "Becoming a Social Developer" (one of my favorite topics) with a new group of people. I had a great conversation with Spencer (@schneidenbach) the morning before the workshops. And I ended up spending a quite a bit of time with him the rest of the week. It was great to get to know him better. Thanks to everyone for the great pictures. A really great thing about Music City Code is that there was a photographer taking really great shots during the whole event. Check out the gallery for yourself: Facebook Gallery. 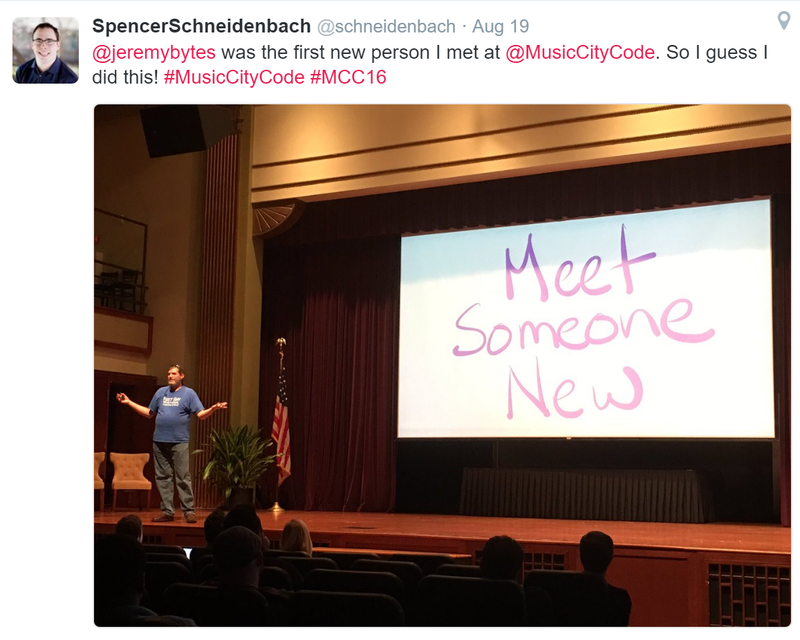 Needless to say, I had an really awesome time at Music City Code. It's one of the events that will stick out this year.